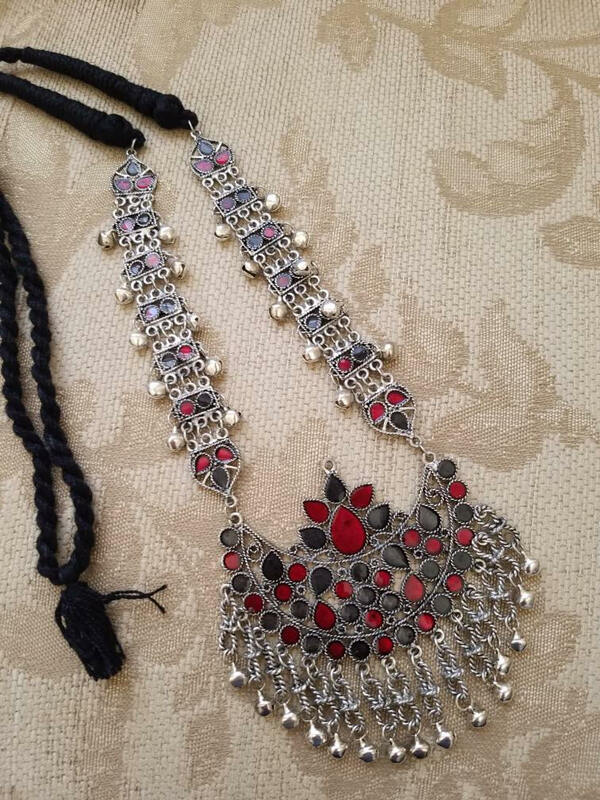 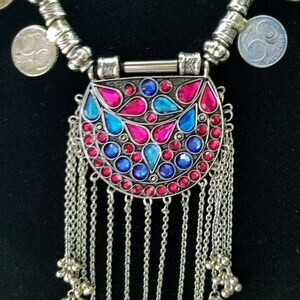 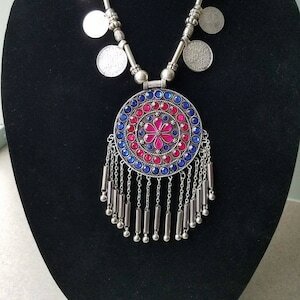 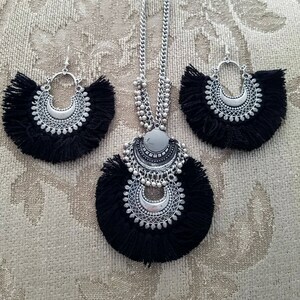 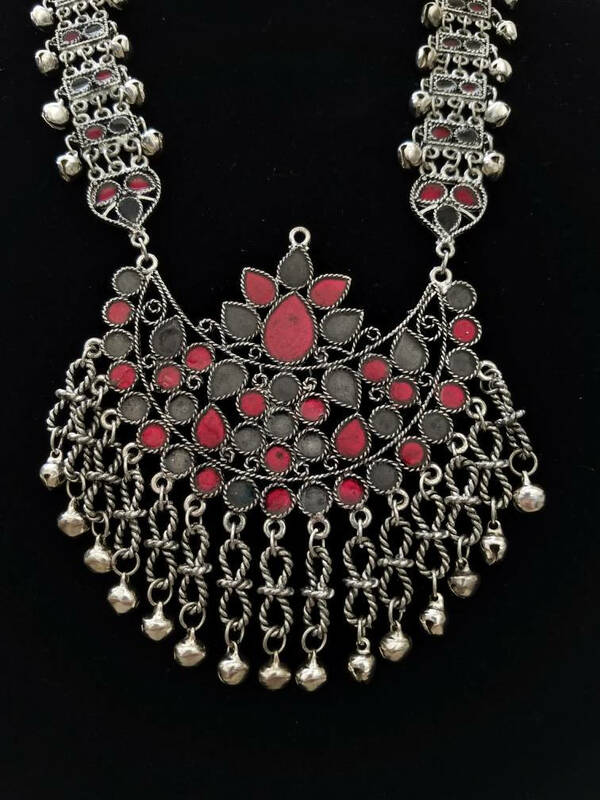 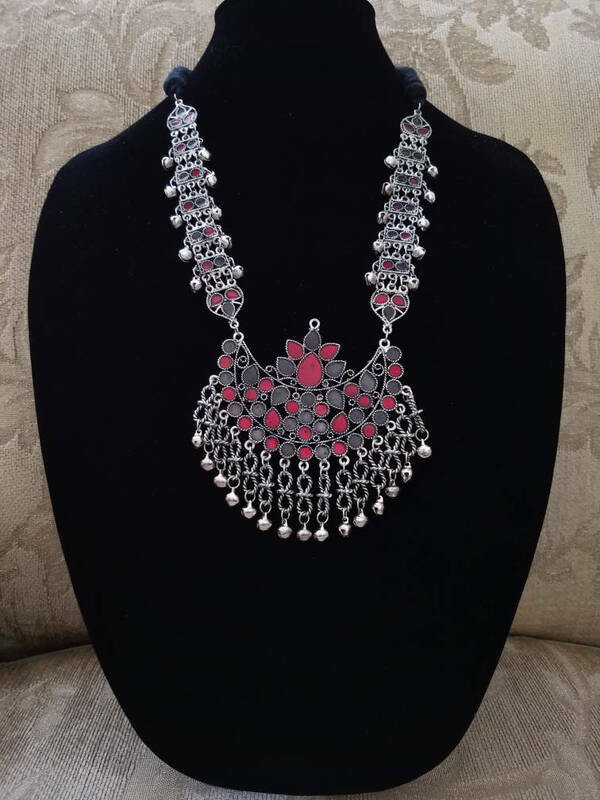 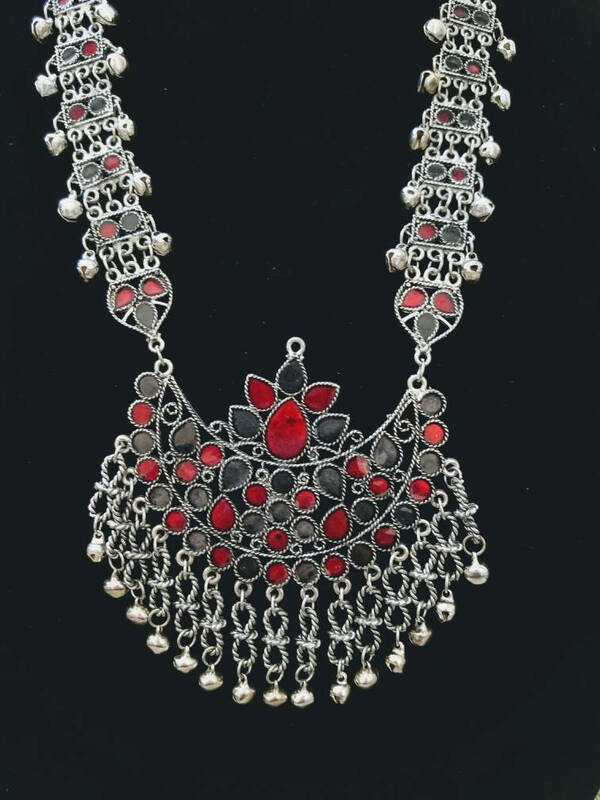 Gorgeous, shimmery Afghani necklace in chandbali design, in oxidized silver color so as to give the lovely patina of a vintage tribal piece. 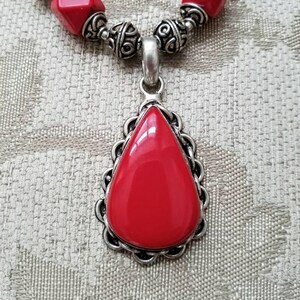 Fantastic color combination in vibrant enamel - cherry red and a darker color which could be a deep eggplant or could be grey. 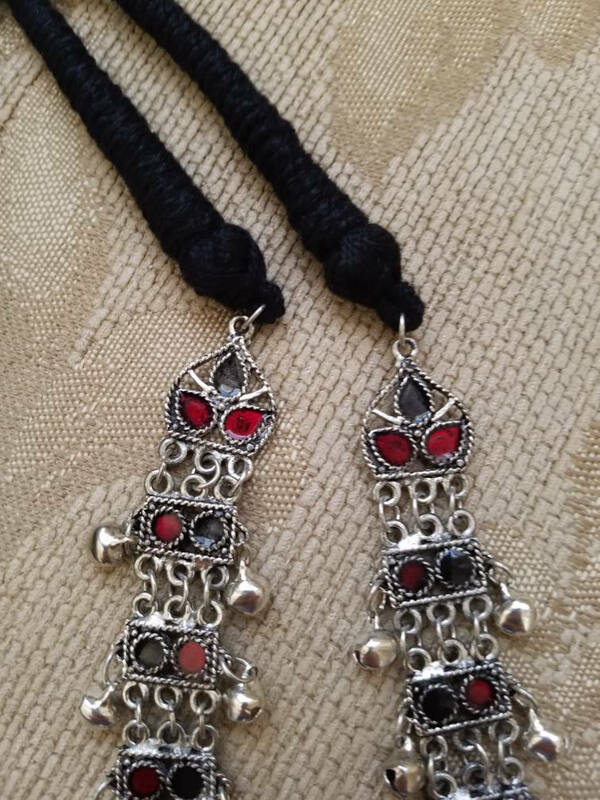 Adjustable length using sliding knot to ensure a perfect fit for you.